The slide caused seismic tremors that had a magnitude of 2.9, about as strong as a small earthquake, according to data from the Alaska Earthquake Center. 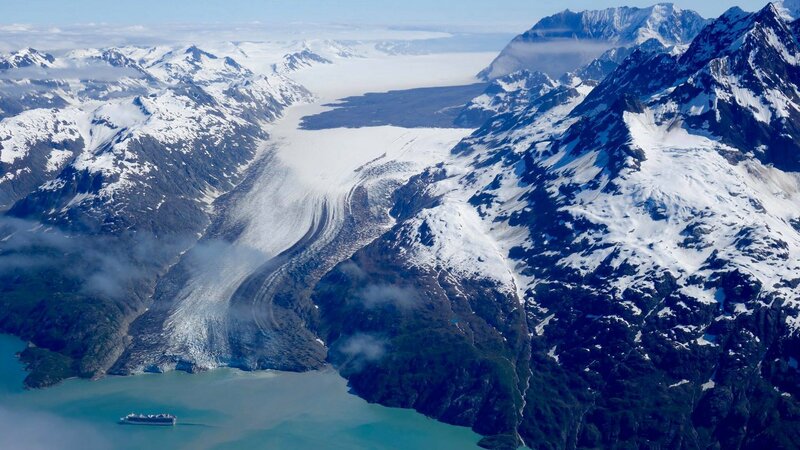 The source of the slide appears to be a peak on the west side of the glacier that was more than 6,500 feet high. It is unclear how much rock broke away, but the Lamont-Doherty Earth Observatory estimated the slide involved more than 165 million tons of material.